We have been empowering women and girls since 2004 and are now merging with No Barriers USA to create No Barriers Women. We are excited to announce that Peaks Foundation (formerly 3 Peaks 3 Weeks Africa) will be merging with No Barriers USA, a non-profit organization based in Fort Collins, Colorado. There are many stories surrounding the journey of Peaks Foundation - we would need a yearlong burning campfire to run through them all. Memories we hope will live on and continue to inspire. 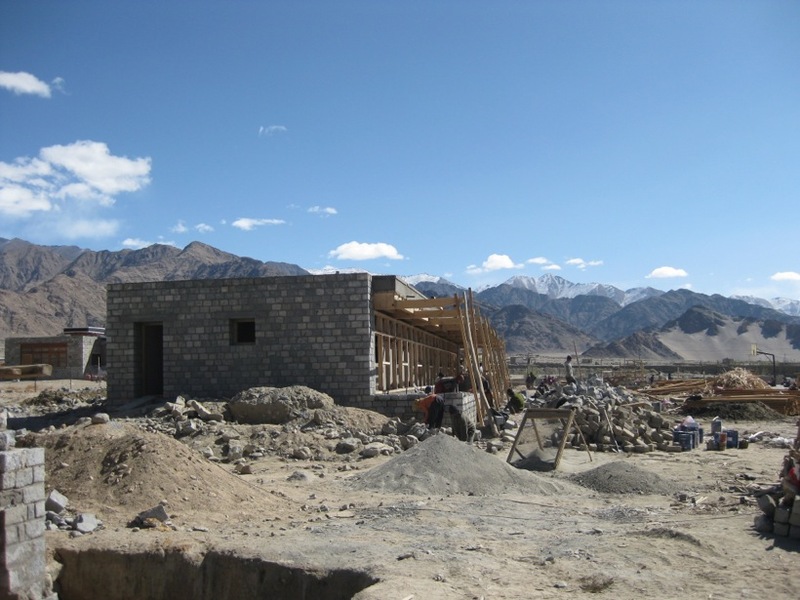 A lot more was invested into this Foundation than just trekking and many more people were involved than those you see on the Peaks Foundation 'Team Page'. A huge number of volunteers, supporters, sponsors, and friends not to mention our constantly supporting family. Endless fundraising events were hosted. Films were produced. Conferences were attended. And most importantly, a massive impact was made around the world. 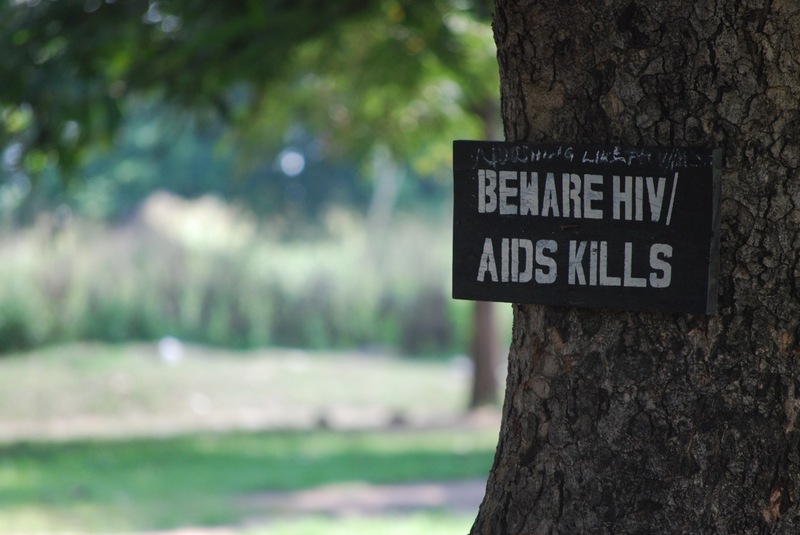 Over $1.1 million dollars has been divided between organizations working in Africa, Asia, and South America. 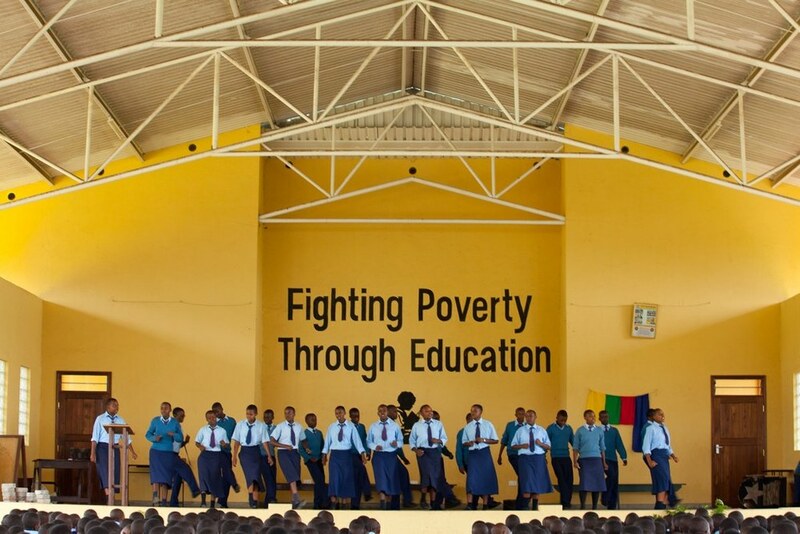 These organizations serve girls and women who come from disadvantaged backgrounds. It has helped some acquire much-needed healthcare, it sent others to school, it encouraged many to conserve their local environment, and it provided opportunities for new businesses and innovation. 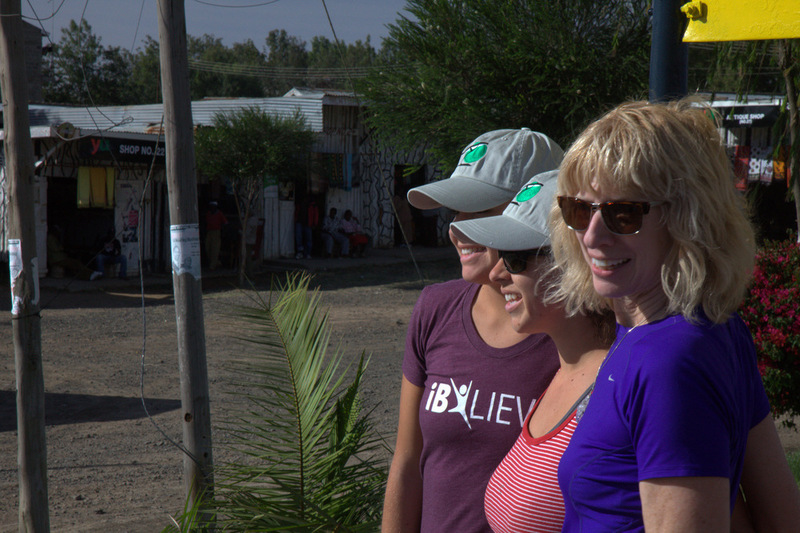 Over 373 women and girls joined our global expeditions and our leadership & adventure summits and the impact we had on these women was a constant driver for the organization. 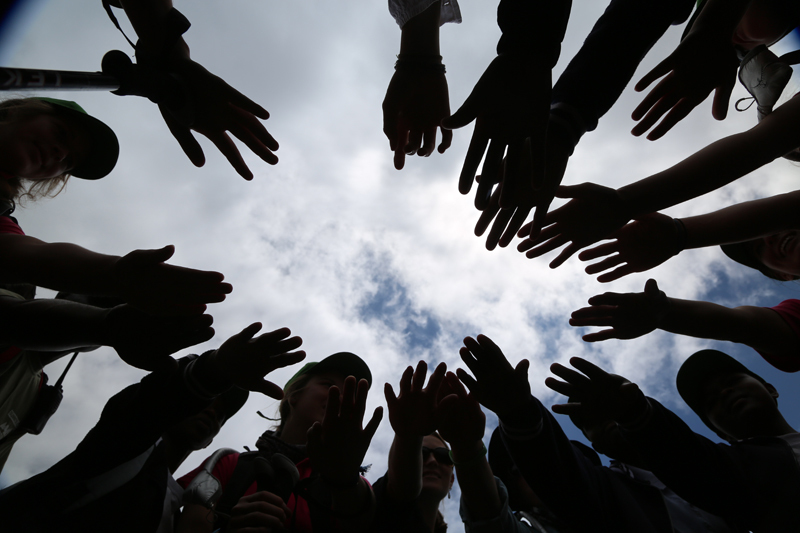 During Peaks Foundation events boundaries were torn down, friendships were made and personal challenges were overcome. As women who experienced many of our own programs, we can truly say, our journey with Peaks has forever changed our lives. We are grateful for each and every person we have met along the way, the trails we have trekked, emotions we have experienced, and the confidence it has given us throughout all aspects of our life. Peaks has been a network of paths. It has organically grown in ways we never envisioned. Like any mountain trek, it had its ups and downs. It had breaks along the way. It changed paths, retraced paths and created new paths. We didn't always reach the summit, but we learnt so much from the journey we undertook. Going forward, we hope the map will continue to unfold and reveal new routes and destinations. Our partnership with No Barriers USA is an exciting step in the Peaks journey. Their mission is to unleash the potential of the human spirit. Through transformative experiences, tools, and inspiration, they help people embark on a quest to contribute their absolute best to the world. We are proud to be joining this community and transitioning Peaks to support No Barriers in their development of ‘No Barriers Women.’ We hope you will continue to join the events and expeditions to ensure that women are unleashing their full potential and living lives full of purpose and meaning. We would like to thank all of you for joining, supporting, advising, encouraging and inspiring us. 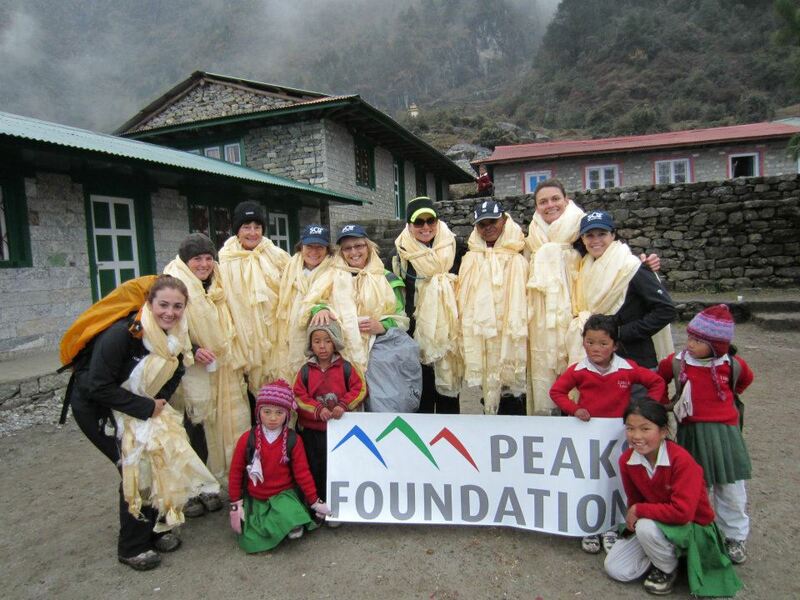 Together, we have made Peaks Foundation a successful endeavour that has impacted many. Thank you for an amazing climb. 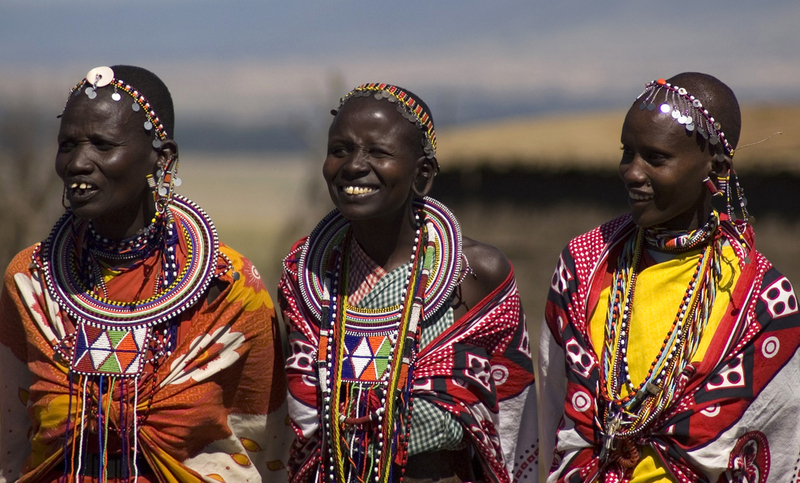 We have distributed over USD $1.1 million to non-profit organizations in Africa, Asia and South America. 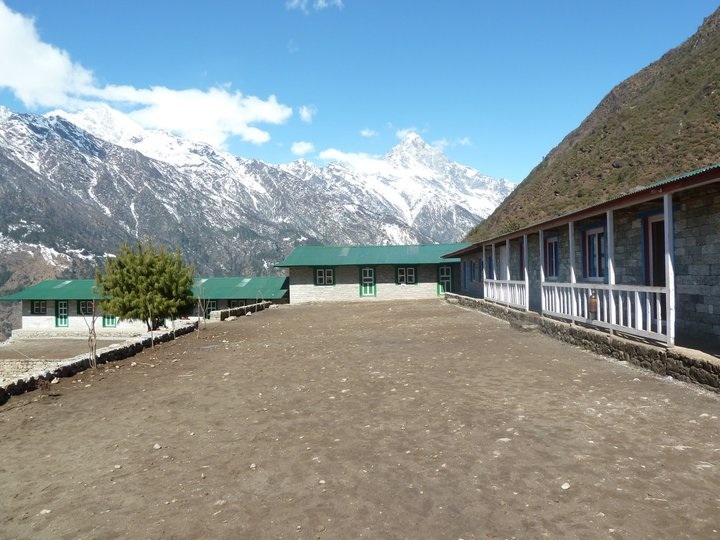 We partnered with 20 grassroots non-profit organizations, including 4th World Love, Classrooms in the Clouds, Conservacion Patagonica, Drupka Trust, dZi Foundation, Empowering Women Nepal, Food Water Shelter, Frankfurt Zoological Society, Girl Sport Works, Laikipia Wildlife Forum, Maisha, Nabulaa, Nurturing Minds, The School of St Jude, Support for International Change, The Mountain Institute, The Small World, Trail Running Nepal and WomenLEAD. 26 expeditions & events.373 women & girls participated. The logo on the left was designed in 2004 by Jacqueline Millard. Six years later the logo evolved in to the one on the right, designed by Jane Moody. 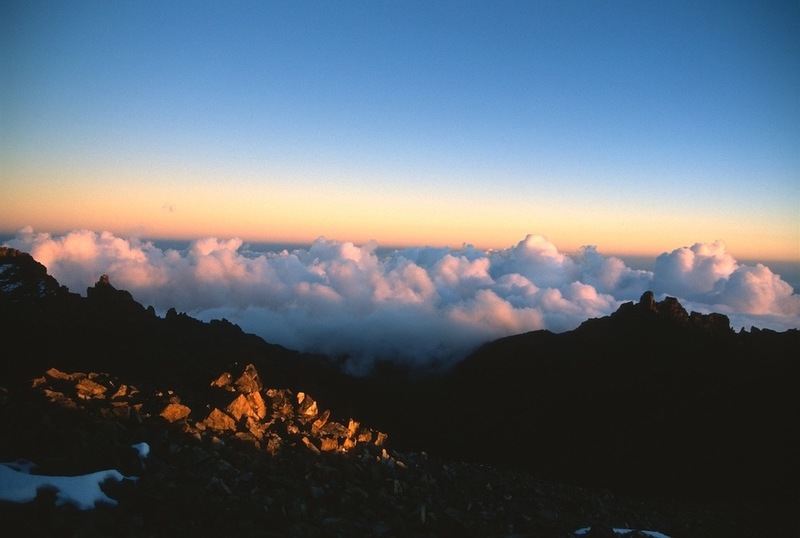 Laura Borner and Chloe Chick met in Arusha, Tanzania in 2004 and together with a team of women from Australia and the USA created 3 Peaks 3 Weeks Africa - an expedition to summit three of Africa's highest peaks in less than three weeks. 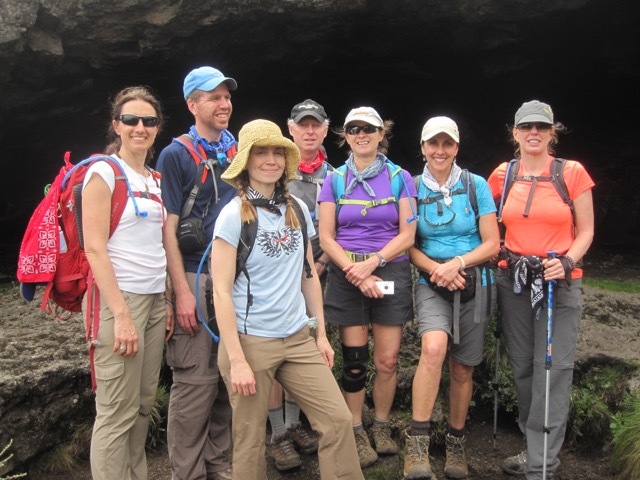 In January 2007 the first all-female team summited Mt Kenya, Mt Meru and Mt Kilimanjaro and raised USD $385,000 for three grassroots organisations in Kenya and Tanzania. A film crew from Serac Adventure Films in Boulder, Colorado joined the expedition and produced a 52 minute award-winning documentary. After the success of the first expedition and the launch of the Film, 3 Peaks 3 Weeks: For the People of Africa , we were approached by women around the world requesting a second 3 Peaks 3 Weeks Africa expedition. With the help of Save The Rhino, we launched the second 3 Peaks 3 Weeks Africa expedition. Once again we were inundated with interest, so a 2010 expedition was launched. 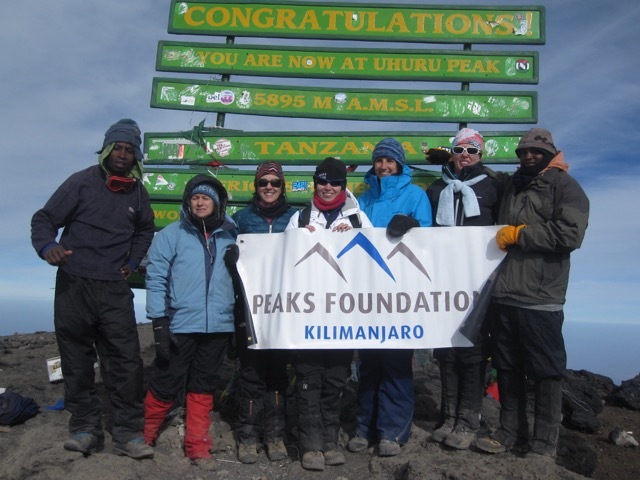 By October 2010 the interest for 3 Peaks 3 Weeks Africa escalated and we founded Peaks Foundation, a USA 501(c)(3) organization aimed to empower women and girls. 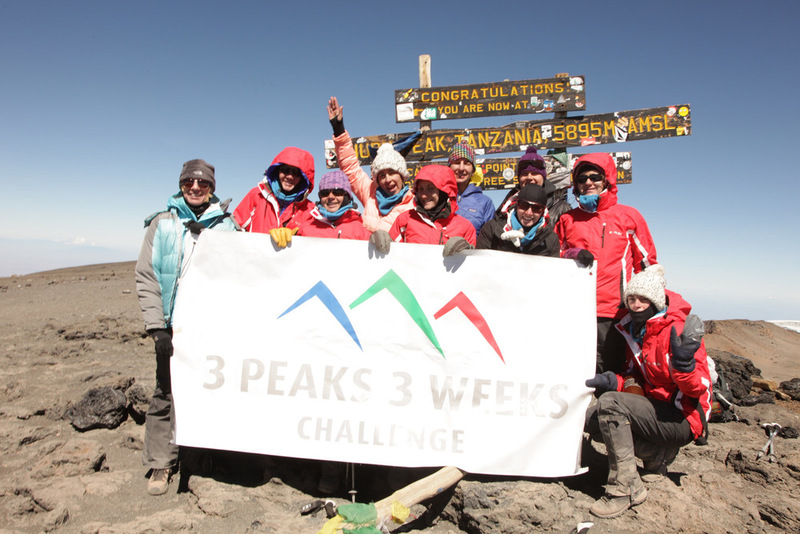 3 Peaks 3 Weeks Africa was our founding and flagship event. 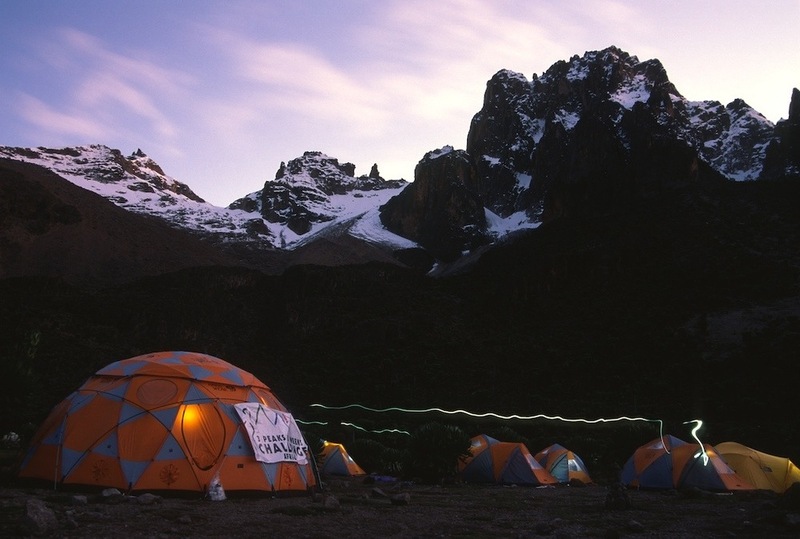 Teams of women would attempt the summit of Mount Kenya, Mount Meru and Mount Kilimanjaro each year. When we launched Peaks Foundation we launched new climbs and opportunities to impact local communities - 1 Peak 1 Week and Your Peak Your Week. We organized 23 mountain based expeditions in 9 countries. From 3 Peaks 3 Weeks in Africa, the Himalayas and South America to smaller expeditions in the Democratic Republic of the Congo, India, Indonesia and Nepal. 221 women and girls have joined our expeditions and through these mountain based challenges we have distributed over USD $1.1 million to local organizations empowering women and girls. We founded the Girls Challenge in 2012 as a way to unite young women across the globe to take part in mountain challenges. 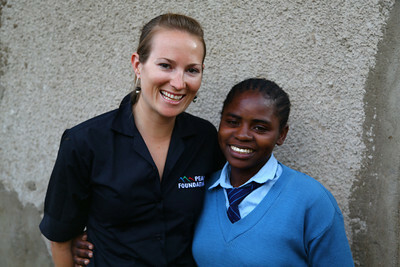 Girls from developed countries fundraised to enable girls living in poverty the opportunity to climb their local peak. But they would take on the climb together, as one team – an event, which will unite individuals, cultures and communities. 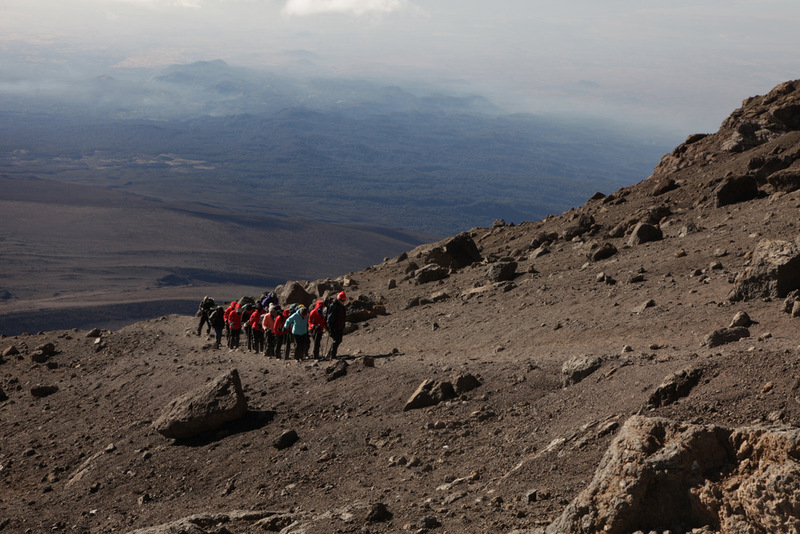 In October 2012 a team of young women from PLC Armidale in New South Wales, Australia traveled to Arusha, Tanzania and attempted the summit of Tanzania's second highest peak, Mount Meru with a team of young women from The School of St Jude. In May 2014 a team of young women from Lee and Collier Counties, Florida and a group of young women from Cusco, Peru joined together to trek the Lares Trail in Peru and reach both Machu Picchu and Huayna Picchu. 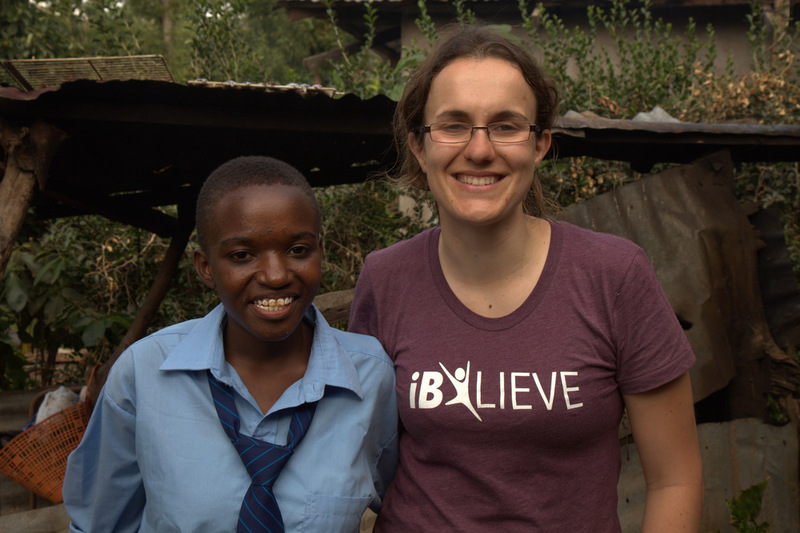 A film crew, led by Doug McCann, joined the Girls Challenge in Tanzania and a documentary was produced, which has since been screened at film festivals around the world and inspired hundreds of girls globally. 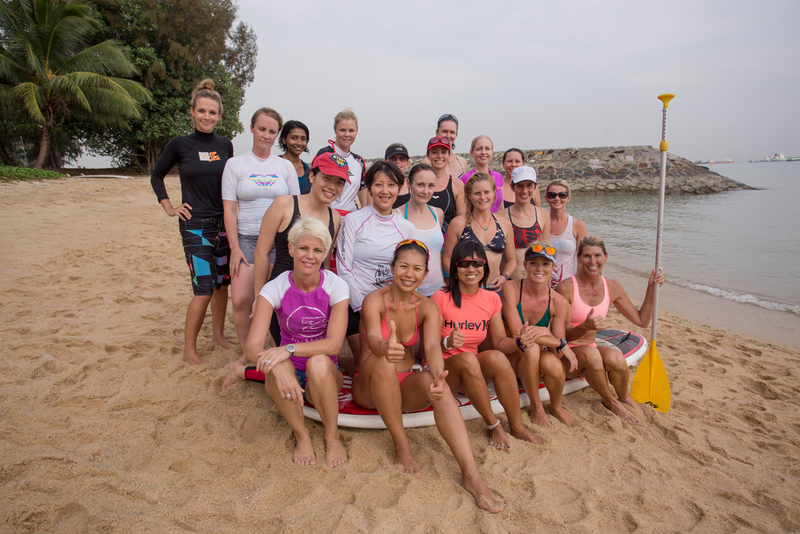 We have hosted three Women's Leadership and Adventure Summits in the USA and Singapore since July 2013. Over 153 women have participated. No Barriers led a fourth Summit in Telluride, Colorado in October 2015 and will continue providing this life changing experience to women globally. 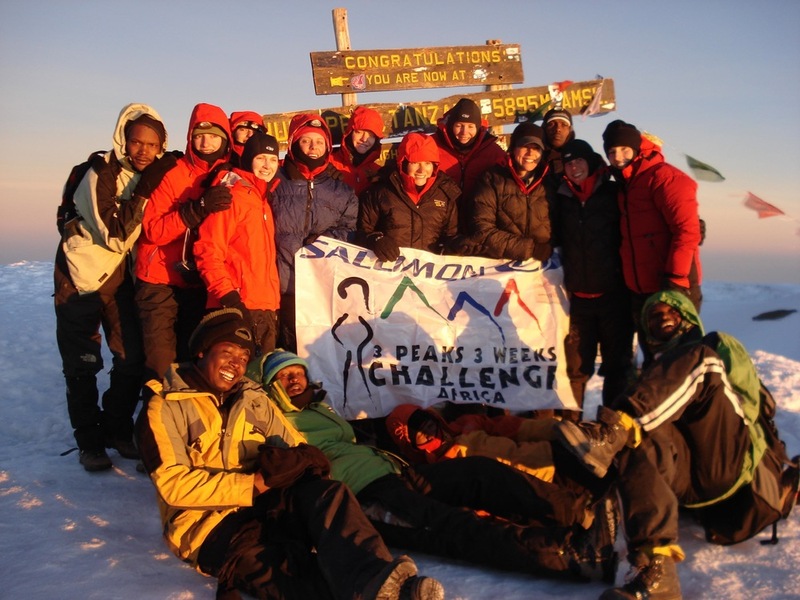 The Peaks Foundation team consists of many people - from the founding 3 Peaks 3 Weeks Africa team, core team, board, advisors, donors, sponsors, supporters, volunteers and of course all our global participants. Thank you for your tireless contribution. Hamish Siddons, Jacqueline Millard, Kate McInerney, Jane Shadbolt, Julia Stalder, Doug McCann. Chloe Chick, Laura Borner, Anna Brown, Brie Koch, Prue Tarmizi, Edwina Wotherspoon, Elizabeth McBride, Jane Shadbolt, Alex Longes. Lizzy Fallows, Charlotte Peyrat Vaganay, Lucinda Watson, Mara Fox, Nicole Plant, Rachel Hager, Yvette McMillan, Toni Harris, Ali Murphy, Brooke Coby, Leah Weckworth, Katherine Lynn, Sam Hayes, Rahab (Harvey) Jarvis, Niamh McDonnell, Belinda Coen, Tracie Neuhaus, Heather Barkley, Jess Esslemont, Amy Bone, Sarah Papsun, Sheridan Block, Jeanne Dear-Caldwell, Rachel Murray, Louise Anderson, Laura Corney, Kelly Donithan, Tara Gibbs, Sarah Kaczor, Chris Kassar, Lynne Knutson, Kaitlyn Oddy, Valerie Rosenberg, Holly Upper, Caroline Mock, Jessica Warman, Susie Hendrie, Katie Flynn, Michelle Jana Chann, Samantha Watts, Elizabeth Wamai, Jocelyn Durels, Bethanie Castelnuovo, Sharon Smart, Elizabeth Adams, Beatrice Bilat, Hallie Greene, Kylie Pearce, Kathleen Cannon, Olivia Toye, Lyndall Hord, Christie Stubbins, Vanessa Gerrard, Sarah Baker, Marjorie Webb, Katie Tenney, Stephanie Hathaway, Janine Millam, Dee Kaumeyer, Katherine Skarbek, Dannette Haley, Shannon Keith, Christina Vacchiano, Andreas Luechinger, Angelika Birrer, Kathryn Lund, Lauren Denney, Elizabeth Fee, Misa Kurano, Corrie MacLean, Morgan Muller, Jennifer Vos, Sonya Duncan, Phoebe Maroulis, Gen Geyle-Chick, Linda Kirk, Lyndie Beynon, Anna Caldwell, Kim Heagney, Mary Kasper, Margaret Latham, Jill Meatheringham, Catherine Pegg, Trish Stephen, Melissa Watters, Maddison Bromwich, Liza Cameron, Ariane Dol, Rebecca Hansford, Melissa Harvey, Nichola Heagney, Lauren Hiscox, Chelsea Jeffery, Emma, Klepzig, Laura Meatheringham, Gabrielle Ostler, Annabel Paul, Georgia Peatfield, Chelsea Smith, Jessica Watters, Kendall Watson, Brittany Wright, Genevieve Shope, Kate Howie, Joyce, Grace, Jackline, Asha, Margreth, Queen, Maria, Malkia, Njumali, Penueli, Debbie Cartledge, Rachel Cartledge, Marcia Kaye, Johnson Kiwango, Frederick Regan, Kati Regan, Jonathon Whiddon, Lindsay Whiddon, Catherine Faughnan, Anna Cotellessa, Elizabeth Foster, Dana Anderson, Mark Foster, Penny Tompkins, Sherri Floros, Cecila Bullock, Jennifer Celesia, Victor Maningo, Christina Maningo, Amandae Baey, Angeles Herrero, Charlotte Wilkinson, Clare Gaskell, Daphne Tan, Debbie Brooks, Lisa Saw Sweelin, Sue Mulhall, Wayin Lim, Yvonne Voon, Nida An Khafiyya, Wendy Wong, Saad Akhtar Chinoy, Janan Loh Chung Rui, Edeline Goh, Jie Yee Chua, Kim-Cherie Davidson, Iris Vazquez, Deborah Straub, Marian Pierce, Sarah Childress, Melinda Lee Harvey, Suzanne Schultz, Anna Edgren, Alexis Buhelos, Guadalupe Estala, Maria Guerrero, Kendall Klein, Selena Francisco Tello, Eveyln Pacheco, Daisy Reyes Leon, Angelica Valdez, Andrea Valdez, Riley Zuccarello, Colby Robertson, Jill Wheeler, Ellen Nichols, Debra Frenkel, Tyler Emmett, Yoni Huaman Meza, Silvia Castro Quispe, Naty Morales Sutta, Deani Cruz Castro, Raquel Cruz Meza, Yamilet Cruz Castro, Karina Meza Huarancca, Luciana Cruz Meza, Erika Huallpa Morales, Rocio Sutta Quispe. Imani Allen, Melissa Beck, Janet Bergman-Wilkinson, Brooke Bero, Anne Bertucio, Laura Borner, Kristine Bucholtz, Majka Burhardt, Cristina Canales, Chloe Chick, Amy Christensen, Sarah Coleman, Catherine Collentine, Andrea Davis, Carla DeVelder, Kelly Donithan, Anna Edgren, Katrina Eiden, Patricia Ellis Herr, Jessica Ferguson, Caroline Fisher, Corey Flynn Flynn, Angela Foss, Margaret Ghalayini, Meagan Haas, Stephanie Hathaway, Veronica Hipolito, Randi Hitchcock, Brittany Hoover, Adrianna Juran, Sarah Kaczor, Diana Kaye Hill, Karlene Kilmer, Shari Leach, Erin Maher, Kerry Marder, Karol Markosky, Jennifer Miller, Terry Narazaki, Becky Naughton, Laurie Normandeau, Kelly Phanco, Jascia Redwine, Alexandra Rylkiewicz, Miggy Scott, Lindy Sexton, Sharon Sikorski, Anita Simon, Michelle Theall, Elissa Tucker, Jill Wheeler, Teresa Woo, Catherine Cheffins, Sarah Druce, Amy Kelly, Xiya Zheng, Rachael Peedom, Julie Kyte, Stephanie Jones, Melenie Bruce, Stephanie Groen, Aimee Barnes, Rebecca Sinclair, Kelly Lim, Marcia Morley, Tamara Rambus, Holly Kuzmiak-Ngiam, Ivana Tranchini, Suzy Hartley, Utami Sugianto, Lena Sönnichsen, Moira Mullen, Jane Horan, Jaime Simpson, Sarah Barron, Jane Noel, Jennifer Kohl, Lauren Ashton, Juliet Gordon, Rhea Antony, Claire Dalziel, Anna Frost, Beatrix Chong, Rachel Ng, Georgette Tan, Carmen Carmen Barber, Leah Kropuenske, Kersti Taha, Chloe Beck, Jessie Haley, Tobi Jo Greene, Tiffany Skogstrom, Tracy Krauss, Manoli Dawson, Amy Curran, Sarah Del Balso, Julie Sutton, Jennifer Holliday, Cecelia Bittner, Kealy Devoy, Nastaran Kianbakht, Elham Saadat, Kimberly Mahl, Melanie Laird, Kristen Sykes, Anna Watkins, Jamie Lenhardt, Janice Moore, Jayne Percival, Jennifer Wopinek, Sarah Kaczor, Kristine Buchholtz, Kelsey McGrew, Sepedeh Kianbakht, Kristy Nguyen, Karen Wilder, Vanessa Turika, Bethany Davey, Kim Frasso, Bethanie Castelnuovo, Heidi Boynton, Heather Anderson, Lisa Youngwerth, Pamela Shanti Pack, Katie Hnidia, Katie Boue, Sharon Yazowski, Caroline LalLalive Carmichael, Jennifer Flemming, Shari Leach, Tamera Southerland, Shaunda Frierson, Temple Trigg, Ann Williamson, Laurie Tewksbury, Beverly Sparks, Jessie Van Ausdal, Jennifer Weaver, Kathy Moore, Felecia Massingill, Emily Rotert, Becky Alter, Christine Olmsted, Aina Azlan, Brooke Epps, Annette Ruano, Martha Pavish. We can't thank our partners enough! Our first major supporters were individuals who donated their time to help us develop everything from a logo and a website, to friends who organized fundraising events with us, through to the GSMA who funded our technology requirements on our first expedition. The support traveled through from passionate individuals to large organizations like Patagonia, Mountain Hardwear and SCB Global. We are so grateful that you believed in our mission and vision. 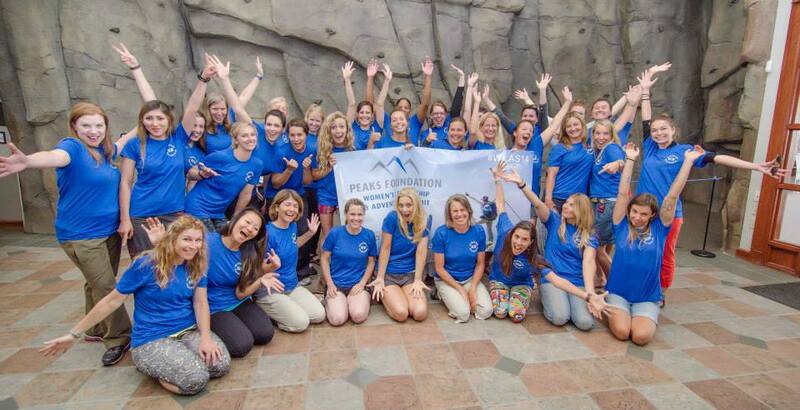 The Peaks Foundation is proud to pass its remarkable legacy on to No Barriers USA so that they can continue to build a thriving community of women who seek adventure, personal achievement, and an opportunity to make a positive difference in the world. 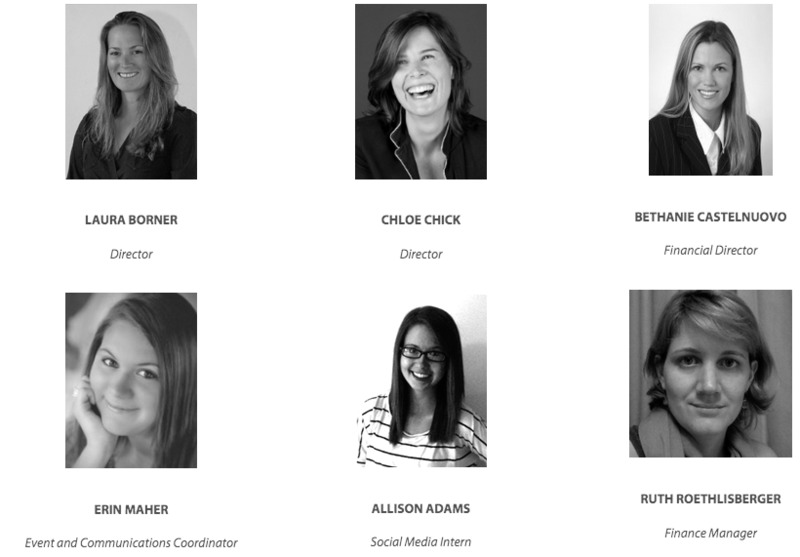 Using the Peaks Foundation’s ten years of success as a springboard, No Barriers plans to offer experiences, tools and inspiration for women who recognize our shared desire to elevate and support each other on our unique journeys.